New offerings include integrated hardware-software solution, guiding tools and a research collaboration platform. HPE has just announced a bunch of new things to help organisations everywhere tap into AI. The new offerings include an integrated hardware-software solution, a set of guiding tools, a research collaboration platform, and a place to get access to the latest expertise. Deep Learning, as a subset of AI, is key for things like facial or voice recognition, image classification or other challenging tasks. It requires a high performance compute infrastructure to build and train learning models that can handle vasts amount of data, and that is something many organisations lack. This is also the core problem HPE is trying to solve with its new solution. 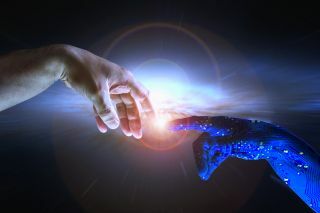 With that in mind, HPE introduced Rapid Software Development for AI, an integrated hardware and software solution, purpose-built for high performance computing and deep learning applications. It is based on the HPE Apollo 6500 system, built in collaboration with Bright Computing. It includes pre-configured deep-learning software frameworks, libraries, automated software updates and cluster management optimized for deep learning. Supports NVIDIA Tesla V100 GPUs. Then there's the Deep Learning Cookbook, a set of tools to guide customers in selecting the best hardware and software environment for different deep learning tasks. The AI Innovation Center serves as a platform for research collaboration between universities, enterprises on the cutting edge of AI research and HPE researchers. The centres are located in Houston, Palo Alto, and Grenoble. Centers of Excellence are designed to assist IT departments and data scientists who are looking to accelerate their deep learning applications and realize better ROI from their deep learning deployments in the near term. The current CoE are spread across five locations including Houston; Palo Alto; Tokyo; Bangalore, India; and Grenoble, France.